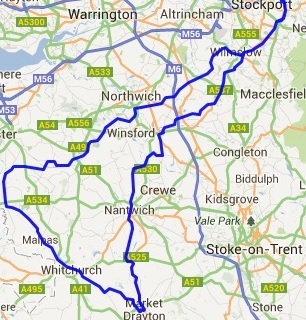 202km cycling event starting from Bredbury, Stockport. Controls at Market Drayton and Gatesheath - Old Ma's, plus 2 information controls. The traditional winter ride from Bredbury across Cheshire, with a choice of cafes at Market Drayton and Old Ma's hospitality at Gatesheath. 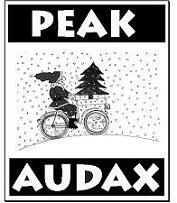 A ride for experienced Audaxers who can cope with the dark and cold. We can even sometimes have nice weather! Hot drinks from the start HQ, and hot soup at the finish.